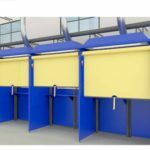 Lift table skirts for both standard and custom lift tables. Custom made to order for every type of lift table. 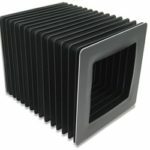 Custom designed square bellows, round bellows, enclosed bellows and way covers will meet all your guarding needs. 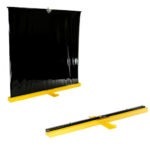 Roll up machine guards are ideal for protecting industrial machinery from debris and operators from pinch points. 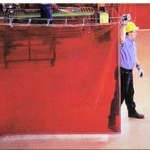 Used on CNC machines, these roll up covers keep coolant and chips contained. 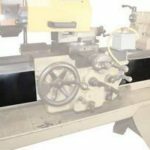 Designed for CNC and milling machines. 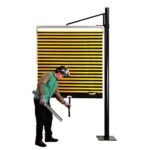 These side-to-side-guards protect robotic weld cells and operator welding cells from flying debris and sparks. 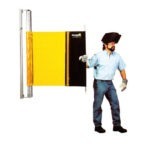 The roll up mobile welding guards are ideal for modular welding cells. Operators can quickly setup a work area, then move it. 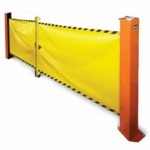 Keep operators and visitors away from dangerous machines or processes with these industrial roll up barricades. 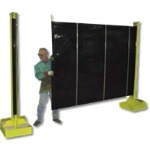 Using a tension cable and opposing hook these retractable safety curtains can be moved completely out of the way for complete access. 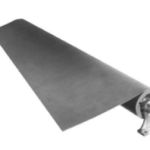 The industrial drop-down roller guard is ideal for welding booths. The shades pull down then ratchet lock in place. 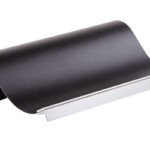 Simply pull down the shade and ratchet lock it in place. 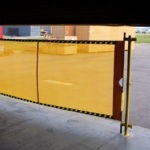 They also swivel out of the way for complete access for cranes.